My Cute Outfit Ideas feature yesterday revolved around one article of clothing – the very versatile denim jacket. I showed you how versatile it can be with 4 outfit ideas I created. I also mentioned I purchased one yesterday. Today’s Outfit of the Day is dedicated to that lovely Denim jacket that I’ve been having a blast creating outfits with. 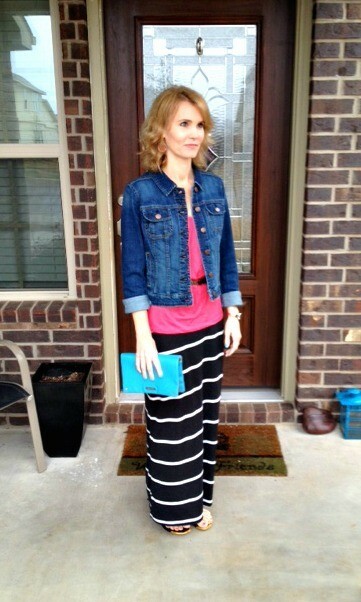 There are so many things I love about this outfit, from the comfort to the pops of color. My day today consists of visiting an Elementary school for some volunteering, running a couple of errands and then heading off to a jewelry launch event later this evening. This outfit is perfect for the first part of my day. When it comes to my evening event, I’ll trade the skirt, tank and sandals for something a little dressier but I’m thinking I’ll keep the denim jacket. 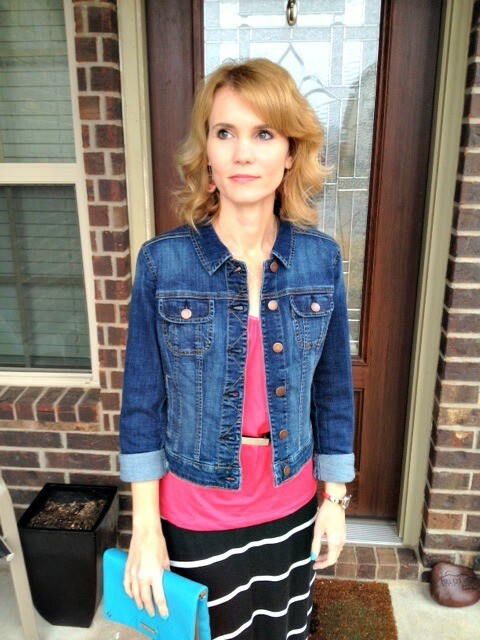 It’s an evening of cocktails and light Hors d’oeuvres, so the denim jacket with a dress should be perfect for our casual Austin get togethers. I also added a belt to the tank to cinch the waist a little. The flowiness of it was driving me a bit crazy! 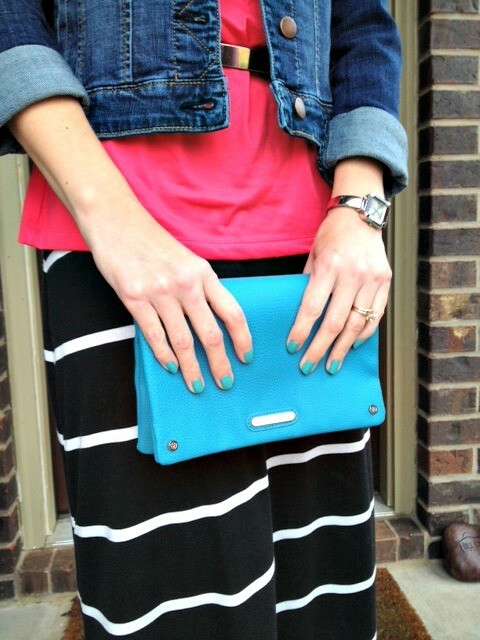 Another trend I’ve been loving is matching your nail polish to your clutch. I really think it’s something that is simple, but really adds a fun element to your outfit if you’re going out somewhere. Do you have a denim jacket from ages ago or have you recently purchased one? If so, tell me how you’re styling it. I want to know! !